Goliath CNC’s Kickstarter campaign is now over, and obviously, we are super happy with the result! We are still surprised and thankful for the great interest we received from people all over the world: the project was supported by 52 different countries, for a total of 716 backers. These amazing 45 days campaign has started with the goal reached in less than 4 hours, and ended in an even more incredible way: we became a member of the $1 Million Campaign Club on Kickstarter thanks to the raising of $1.072.544. 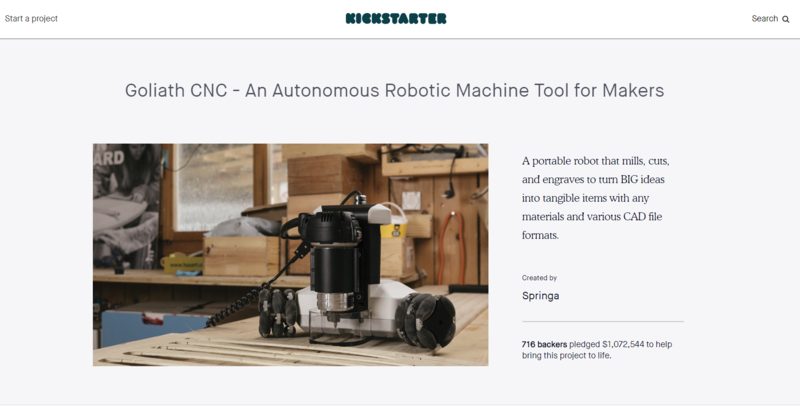 From the very beginning of this adventure with Springa we looked at crowdfunding mostly as a market validation tool, and today we can say that the market gave us a good answer about the insight we had. The good trend of the campaign from the very beginning gave us the chance to get contacted and featured on a lot of amazing headlines: Core77, Digital Trends, Engineering, Futurism, Hackaday, Hackster, Popular Woodworking Magazine, Solidsmack, Tech Crunch, Woodworking Network are just a few of the endorsements we received for the project. 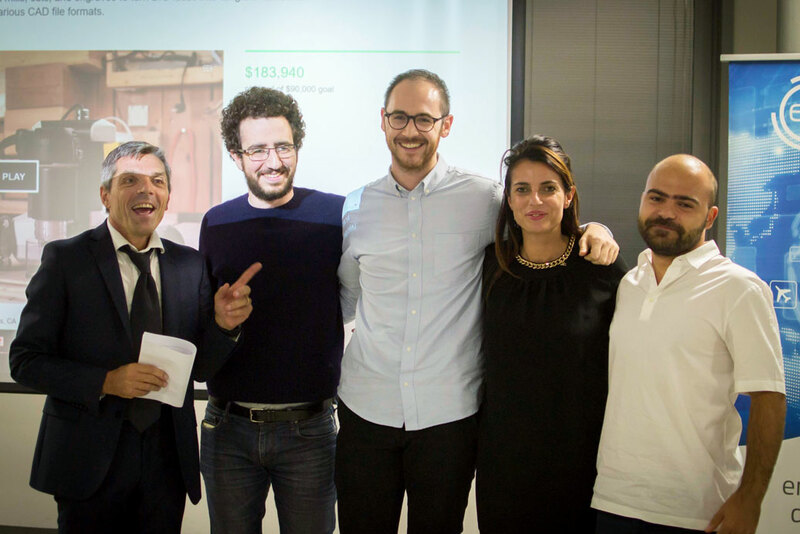 A few days before the campaign started, we were also lucky enough to have the chance to meet Joni Steiner, co-founder of Opendesk at our place in Milan. Joni and the Opendesk guys are a great source of inspiration for our project, and the open making is an extremely interesting scenario of application for Goliath CNC. Thanks to their interest, we had the chance to have also a talk together about Goliath CNC and the future of making and design. The campaign gave us the possibility to reach a worldwide visibility and establish contacts with big companies in the field of milling, woodworking, and CNC machining. We are currently in close contact with a few of them, and also with smaller ones to finalize the development of Goliath CNC and make it ready for the mass production. Finally, we need to expand our team and we are looking for people joining us, especially those passionate for software and hardware development. Before the end of the year, we’re going to attend a few events here in Italy: the Maker Faire Rome and Startup Italia Open Summit, if you want to have a look, come on over! This entry was posted in Events, Goliath development, Products, Video. Bookmark the permalink.